No one likes the idea of having to clean their homes or living spaces. Its time consuming, repetitive, and never seems to end. But thanks to some new concepts, which were featured this year at the Electrolux Design Labs competition, a day may be coming when all such maintenance can be handled by machines, and not the large, bulky kinds that are often featured in sci-fi shows and novels. 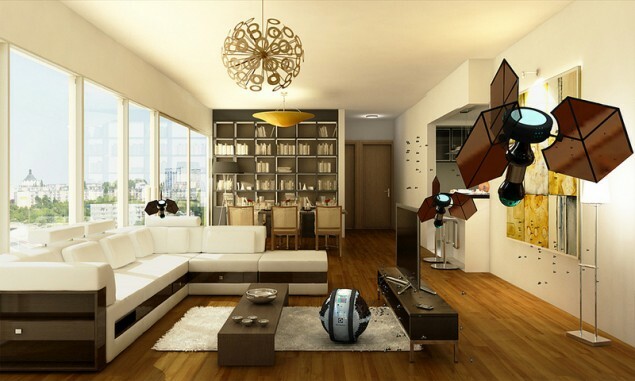 Instead, the new concept for household cleaning robots focuses on the growing field of swarm robotics. 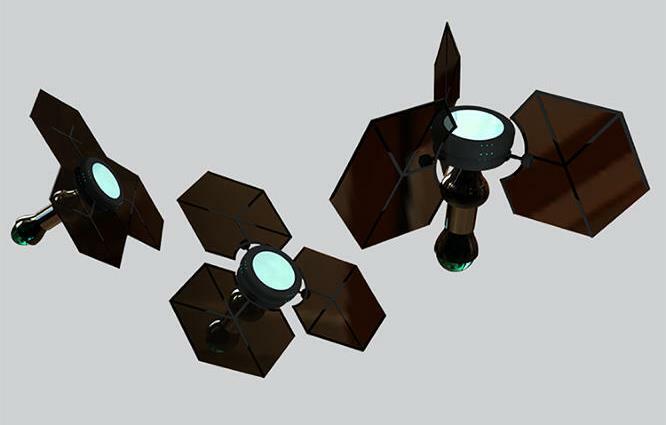 That was the concept behind Mab, a series to tiny robots that fly around the house and determine what needs cleaning. 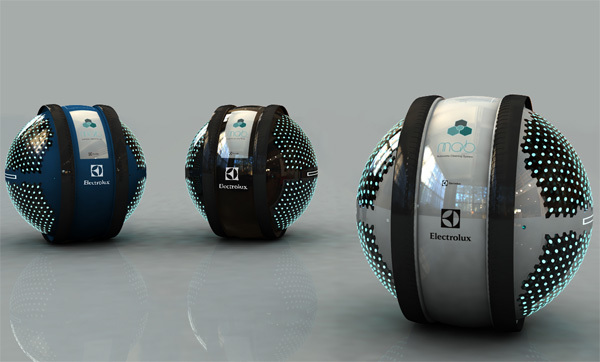 Designed by Adrian Perez Zapata, a 23-year old student from Bolivia, the Mab concept utilizes swarm programming to allow all 908 of its insect-like robots to carry out group functions. Each of the tiny robots lives within a spherical core (picture above), and once they are released, they venture out and depositing tiny amounts of water and cleaning solution onto surfaces that have been identified as dirty. Then, having sucked up the dirty liquid, the swarm returns to their core where they unload and await further instructions or the next schedules cleaning cycle. I was in my university gardens when I observed the controlled flight of bees pollinating a flower, and how magical it is to see swarms of bees working together. 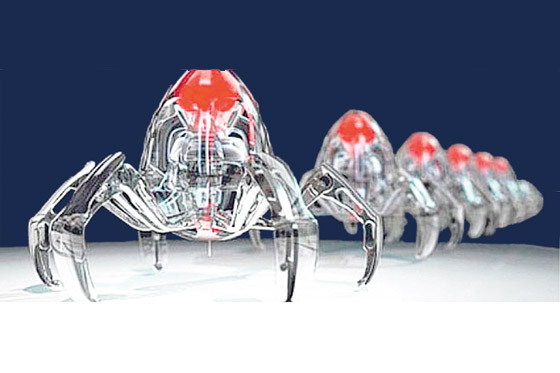 My concept Mab only requires a short initial configuration to function autonomously, so you could arrive home and see a swarm of mini-robots roaming around cleaning independently. This means you could sit back and relax, as you observe with great astonishment the little Mab fairies working their magic. 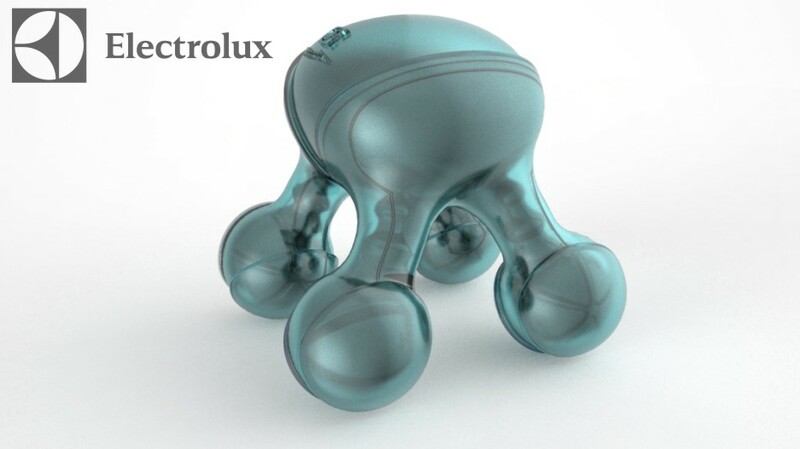 Zapata’s design won first place in the 2013 Electrolux Design Labs competition, an annual contest created to encourage designer students from all over the world to come up with ideas and solutions for future living. This year’s theme was Inspired Urban Living, featuring three focus areas to choose from: Social Cooking, Natural Air and Effortless Cleaning, and drew some rather impressive ideas! For example, second place went to Luiza Silva of Brazil for her design concept known as Atomium, a home 3-D printer for food that uses molecular ingredients to construct food layer by layer. You simply draw the shape of the food you would like to eat and show it to the Atomium, which then scans the image and prints the specified food in the desired shape. 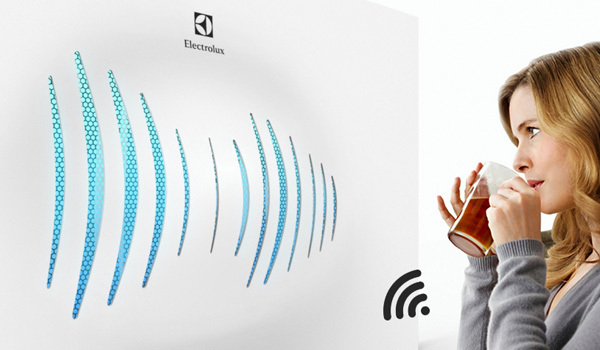 Third place went to Jeabyun Yeon from South Korea for the Breathing Wall, an “air cleaning concept which pulsates and changes shape as it cleans the air.” Inspired by fish gills, It can also be customized to suit individual needs as it scents the air you breathe and changes color according to your choice. After that, the finalists included: Nutrima, a device for instantly assessing food’s nutritional value and possible toxicity; Kitchen Hub, an app to keep track of food in the fridge, encourage healthy eating, and reduce waste; OZ-1, an air purifier worn as a necklace; 3F, a shape-shifting autonomous vacuum cleaner; and Global Chef, a hologramatic device for bringing virtual guests to the dinner-table. Taken together, these small bits of innovation are indicative of a much larger trend, where touchscreens, 3-D printing, scanners, swarm robots, and smart environments address our needs in ways that are intuitive, automated, efficient, and very user friendly. The only downside… they are likely to make us ever lazier than we already are! 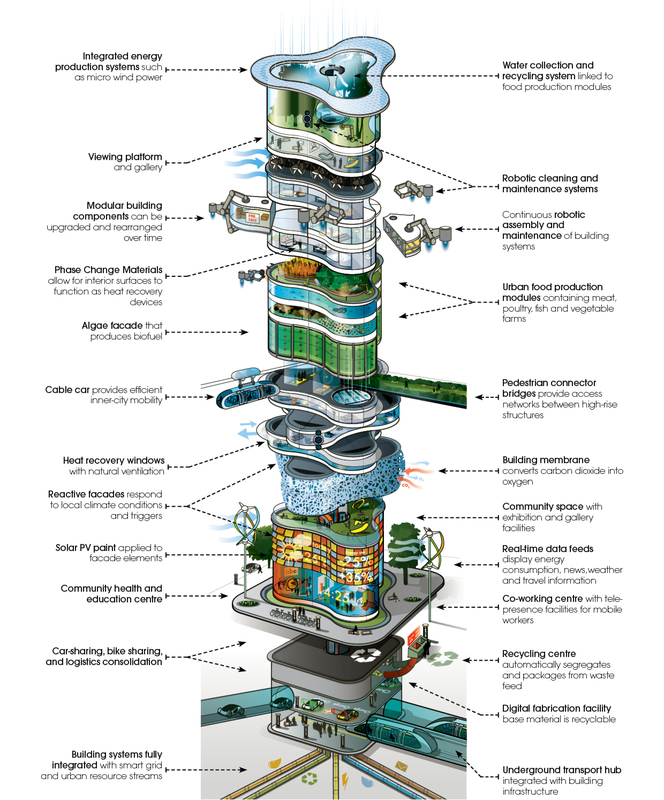 When it comes to building the homes, apartment blocks and businesses headquarters of the future, designers and urban planners are forced to contend with a few undeniable realities. No only are these buildings going to be need to be greener and more sustainable, they will need to be built in such a way that doesn’t unnecessarily burden the environment. 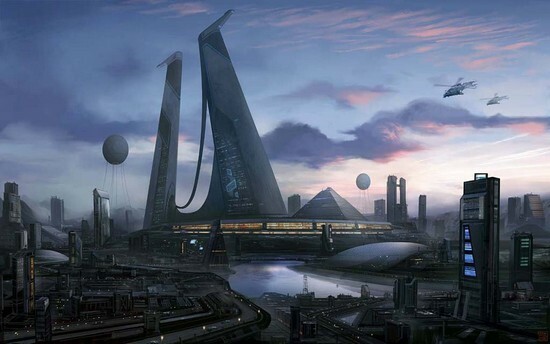 Currently, the methods for erecting a large city building are criminally inefficient. Between producing the building materials – concrete, steel, wood, granite – and putting it all together, a considerable amount of energy is expended in the form of emissions and electricity, and several tons of waste are produced. Luckily, there are many concepts currently on the table that will alter this trend. 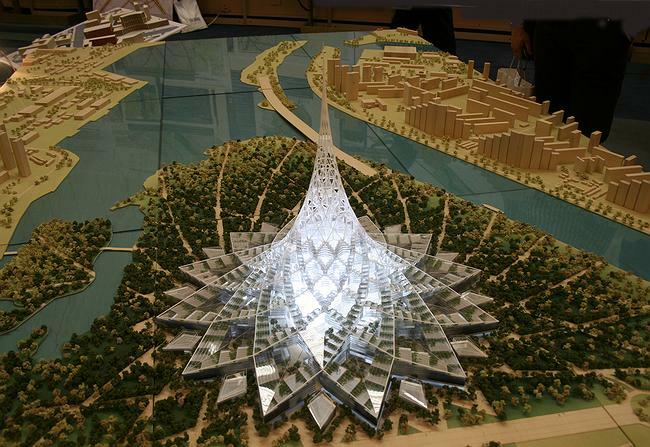 Between using smarter materials, more energy-efficient design concepts, and environmentally-friendly processes, the future of construction and urban planning may someday become sustainable and clean. At the moment, many such concepts involve advances made in 3-D printing, a technology that has been growing by leaps and bounds in recent years. 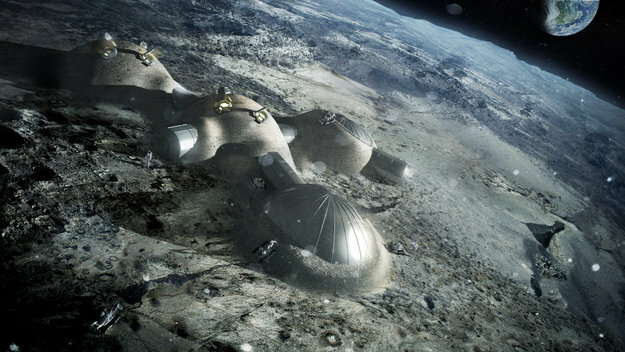 Between anti-gravity printers and sintering, there seems to be incredible potential for building everything from settlements on the moon to bridges and even buildings here on Earth. 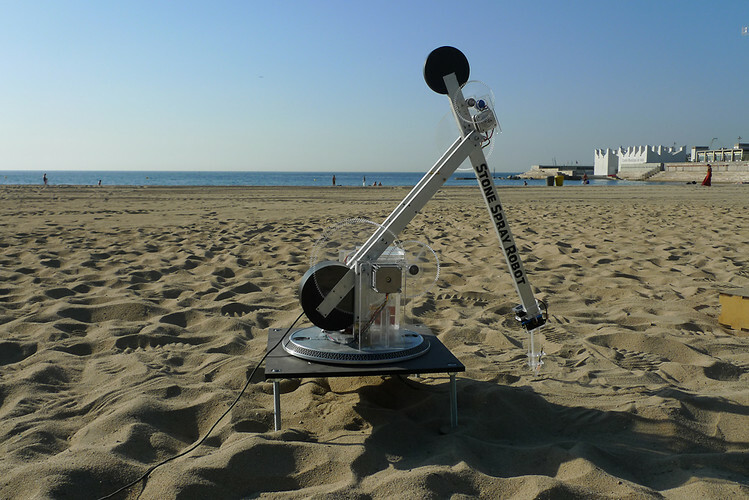 One case in particular comes to us from Spain, where four students from the Institute for Advanced Architecture of Catalonia have created a revolutionary 3-D printing robot. 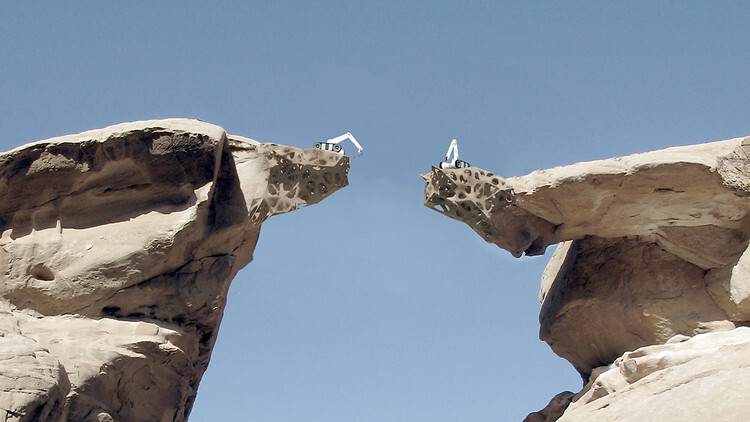 It’s known as Stone Spray, a machine that can turn dirt and sand into finished objects such as chairs, walls, and even full-blown bridges. 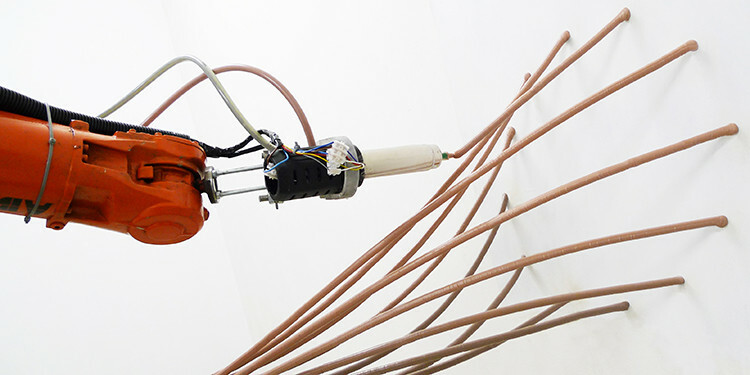 The shape of the resulting object is created in 3-D CAD software and then transferred to the robot, defining its movements. So the designer has the full control of the shape. So far, all the prototypes – which include miniature stools and sculptures – are just 20 inches long, about the size of a newborn. But the team is actively planning on increasing the sizes of the objects this robot can produce to architectural size. And they are currently working on their first full-scale engineering model: a bridge (pictured above). 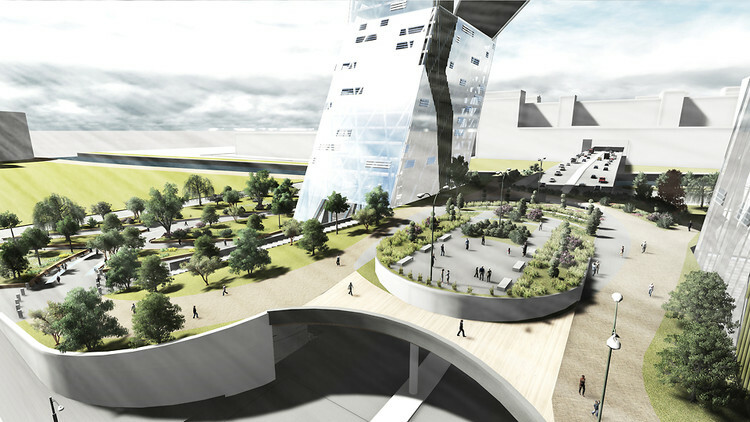 If successful, the robot could represent a big leap forward in the field of sustainable design. Growing a structure from the earth at your feet circumvents one of the most resource-intensive aspects of architecture, which is the construction process. 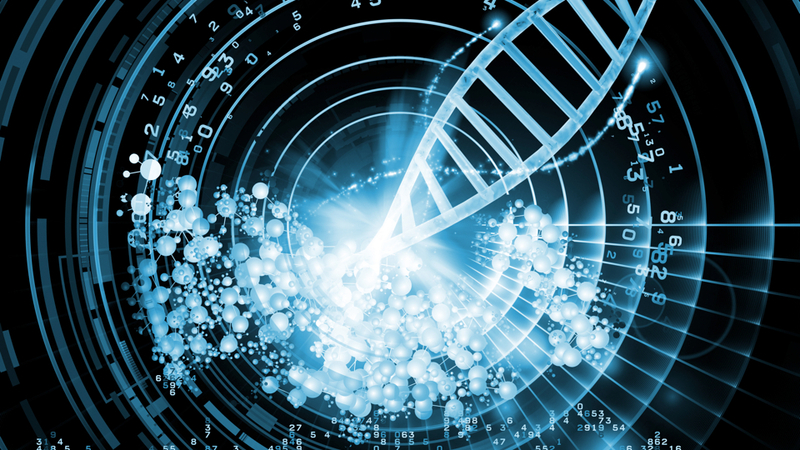 At the same time, however, there are plans to use biohacking to engineer tiny life forms and even bacteria that would be capable of assembling complex structures. In a field that closely resembles “swarm robotics” – where thousands of tiny drones are programmed to build thing – “swarm biologics” seeks to use thousands of little creatures for the same purpose. MIT has taken a bold step in this arena, thanks to their creation by the Mediated Matter Group that has rebooted the entire concept of “printed structures”. It’s called the Silk Pavilion, a beautiful structures whose hexagonal framework was laid by a robot, but whose walls were shell was created by a swarm of 6,500 live silkworms. 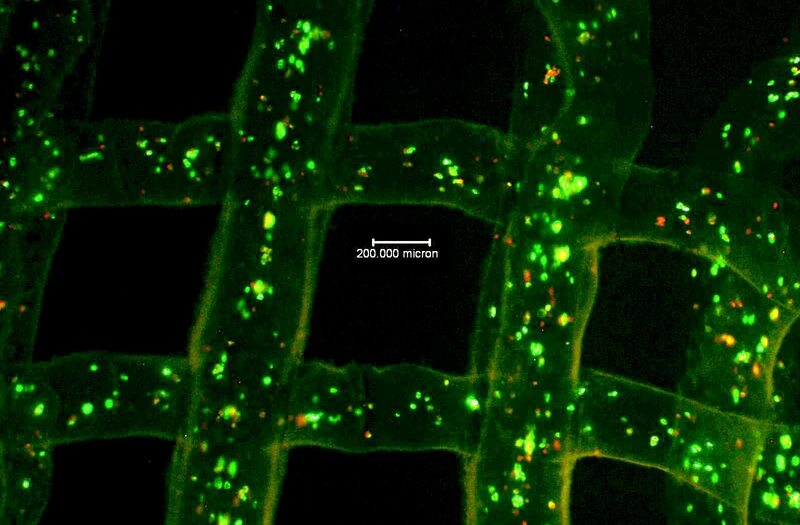 It’s what researchers call a “biological swarm approach to 3-D printing”, but could also be the most innovate example of biohacking to date. While silkworms have been used for millennia to give us silk, that process has always required a level of harvesting. 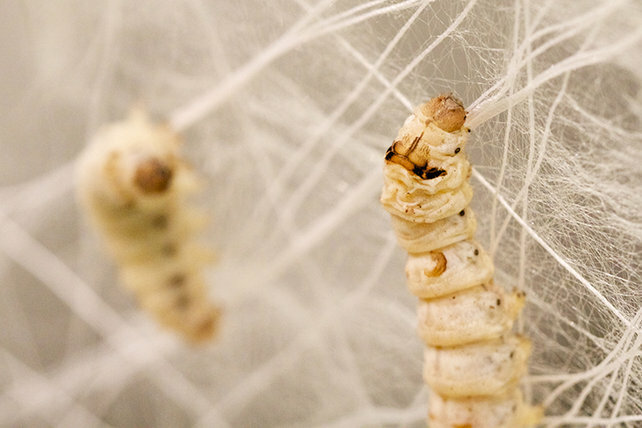 MIT has discovered how to manipulate the worms to shape silk for us natively. The most immediate implications may be in the potential for a “templated swarm” approach, which could involve a factory making clothes just by releasing silkworms across a series of worm-hacking mannequins. But the silkworms’ greater potential may be in sheer scale. 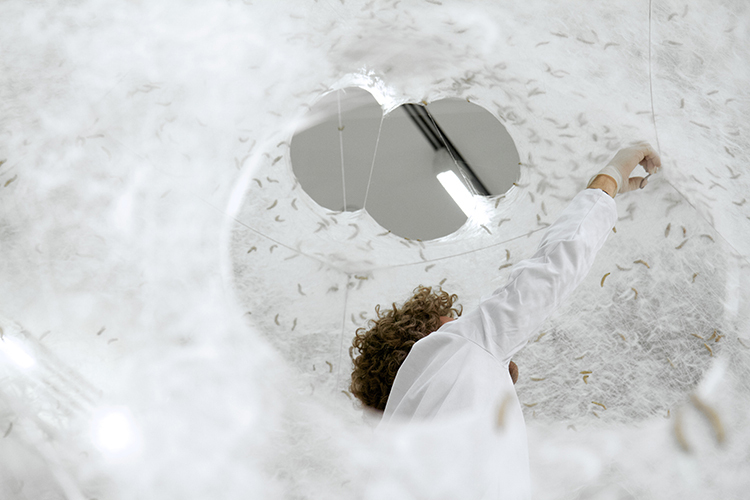 As Mediated Matter’s director Neri Oxman told Co.Design, the real bonus to their silkworm swarm its that it embodies everything an additive fabrication system currently lacks. It’s small in size and mobile in movement, it produces natural material of variable mechanical properties, and it spins a non-homogeneous, non-woven textile-like structure. What’s more, the sheer scale is something that could come in very handy down the road. By bringing 3-D printing together with artificial intelligence to generate printing swarms operating in architectural scales, we could break beyond the bounds of any 3-D printing device or robot, and build structures in their actual environments. In addition, consider the fact that the 6,500 silkworms were still viable after they built the pavilion. 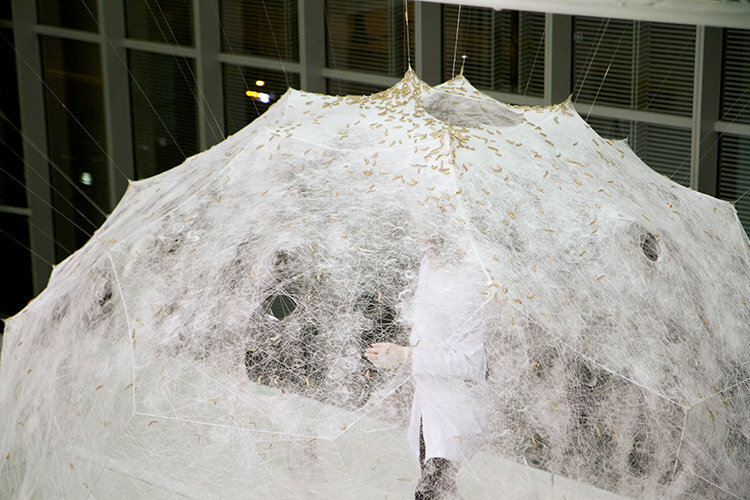 Eventually, the silkworms could all pupate into moths on the structure, and those moths can produce 1.5 million eggs. That’s enough to theoretically supply what the worms need to create another 250 pavilions. So on top of everything else, this silkworm fabrication process is self-propagating, but unlike plans that would involve nanorobots, no new resources need to be consumed to make this happen. Once again, it seems that when it comes to the future of technology, the line between organic and synthetic is once more blurred!